How to protect a web directory with a password? if we are using Apache, we can do it easily with .htaccess. 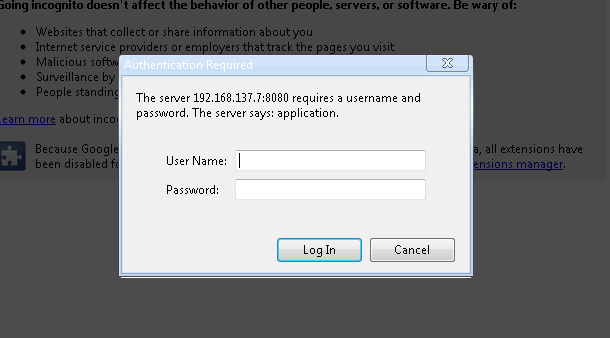 It will prompt user for credentials while entering the directory. 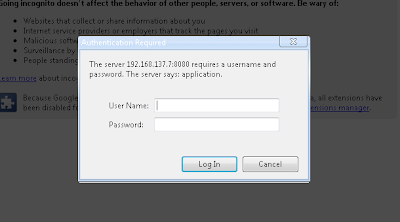 But how to protect a directory with password in tomcat web server? In this post we will discuss how to do it with tomcat Realms. This example was tested in tomcat 7 and tomcat 6. 2) In the webapps/examples/WEB-INF/web.xml specify role, method and urls. 3) Restart Tomcat and check. In the webapps/examples/WEB-INF/web.xml specify role, method and urls. Now goto browser and check. You can see it prompt for credentials as this.